Outside the "Chickee Bar" offers casual entertainment daily. Enjoy your favorite cocktail or one of the frozen concoctions . 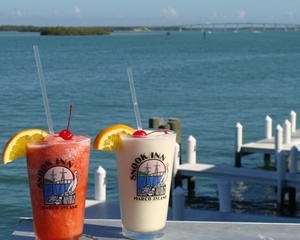 Snook Inn boasts TWO Happy Hours: 4p-6p, MON-FRI and 10p-Close, 7 days a week! 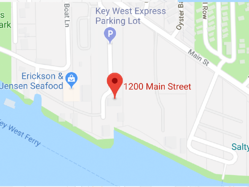 So, after your trip to Key West, just turn right out of the marina and follow the road until it ends. 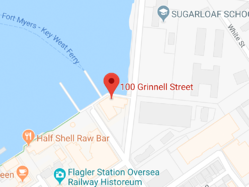 There you'll find the Snook Inn. The World Famous Snook Inn and the Chickee Bar are one of the islands general gathering places, for people and Dolphins alike. 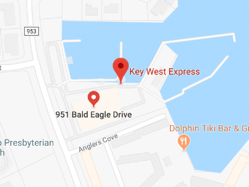 Sitting on the north end of the island, on the inlet of the channel to the Gulf of Mexico, you can often see dolphins playing in the waters. So, sit back and relax. Grab a Key Lime Martini, frozen Rum Runner or one of many other signature drinks and enjoy! Don't forget to grab something to eat as well..
More information about the Snook Inn, can be found on their website.